DOWNERS GROVE, Illinois—The DuPage Foundation is pleased to announce the addition of four new members to its various committees: Michael J. Havala, Investment Committee; Gerald E. Lewis, Jr., Grant Committee; Laurie L. Reifel, Grant Committee; and James M. Snodgrass, Investment Committee. Michael J. Havala is the CEO of Loaves & Fishes Community Services, a leading not-for-profit focused on ending hunger in DuPage County and a long-time partner of the Foundation. In October 2016, Havala was named CEO of Loaves & Fishes after briefly serving as its interim CEO and as a board member for seven years. Prior to his current role, Havala was a financial executive with more than 30 years of experience. Most recently, he served as the president and founder of Chicago-based GoldTree Capital Advisors. Havala received his MBA and bachelor’s degree in finance and accounting from Michigan State University. He and his wife, Toni, and their three daughters live in Naperville. Gerald E. Lewis, Jr. is the managing director of BMO Wealth Management for the Naperville market. He has more than 15 years of banking experience and has been with BMO since 2007. Lewis is also a former fighter pilot in the Washington D.C. Air National Guard. In his spare time, Lewis is active with several not-for-profit organizations. He serves on the boards of directors of Chicago Scholars, Harper College Education Foundation and Saint John Community Outreach Organization. Lewis, who earned his bachelor’s degree from Northwestern University, has remained involved with his alma mater as a member of the Black Alumni Association and Alpha Phi Alpha Fraternity, Inc. He lives in Tinley Park with his wife, Tiffany, and their three children. Laurie L. Reifel is the founder of Reifel Associates and is an executive recruiter for C-level, senior and mid-level executives in education, healthcare services, business services and the not-for-profit sector. 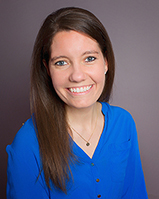 Reifel received her bachelor’s degree in elementary education and special education from Indiana University. She lives with her husband, Greg, in Glen Ellyn. They are involved in several community organizations including the Glen Ellyn Children’s Resource Center. James M. Snodgrass is a retired engineer, executive and the former owner of the Stiffel Company, a lamp manufacturer headquartered in Chicago. Snodgrass holds a bachelor’s degree in chemical engineering from the Massacusetts Institute of Technology, a master’s degree in mathematics from DePaul University and an MBA from the University of Chicago’s Executive Program. Snodgrass and his wife, Ruth Ann, have lived in Wheaton since 1968. They have two grown sons and three grandsons. Snodgrass has been involved in his residents association serving as treasurer, vice president, president and chairman of the Finance Committee. The DuPage Foundation seeks to raise the quality of life throughout DuPage County by fostering philanthropy, connecting donors to area needs and building community partnerships. Based on the American virtues of volunteerism and philanthropy, the Foundation fosters a legacy of support for the people of DuPage County by making grants to not-for-profit organizations working in the areas of Arts and Culture, Education, the Environment, Health, and Human Services. Since its inception, the Foundation has built its endowment to more than $65 million and awarded nearly $30 million in grants to not-for-profit agencies serving the residents of DuPage County and beyond. Established in 1986, the DuPage Foundation is a publicly-supported 501(c)(3) organization to which contributions are tax deductible. It was created to benefit the people of DuPage County and receives contributions and bequests into a permanent endowment from individuals, corporations, organizations and foundations wishing to make lasting contributions to the people of DuPage. The earnings on these funds are then used, in accordance with donor wishes, for the Foundation’s grantmaking and community leadership activities. For more information about the Foundation, or to arrange future media opportunities, please contact William Pearch, marketing manager, at 630.598.5290, or bill@dupagefoundation.org.